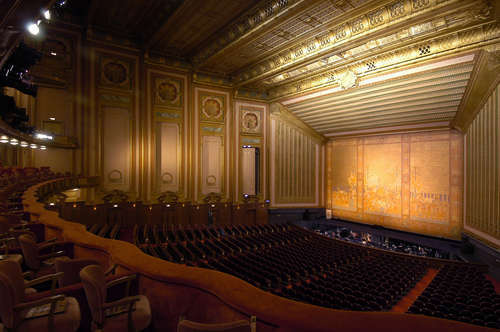 Friday, July 8 • 9:00 a.m. - 1:00 p.m.
Join us for a look inside the many facets of the Lyric Opera of Chicago. Tour the opera house, learn about the mission and structure of the Ryan Opera Center, one of the country’s premier young artist training programs, and visit with some of the artists. Discuss how casting has changed with the addition of classic music theater productions to the repertory. Learn about the Lyric’s community engagement efforts and take home ideas that you can scale to your local setting. This workshop will be held off-site at the Lyric Opera of Chicago, and attendees will need to plan enough time to leave the hotel and arrive at 9:00 am. Discussion panelist to include: Cayenne Harris, Director of Lyric Unlimited; Dan Novak, Director of Ryan Opera Center; Cory Lipiello, Deputy Director of Artistic Planning. Directions: The Civic Opera House is located at 20 N. Wacker Drive, Chicago. Please use the stage door entrance at the corner of Wacker and Washington.